M.B.B.S, Institute of Medical Sciences, Banaras Hindu University, Varanasi, (U.P. ), M.S. (General Surgery), Institute of Medical Sciences, Banaras Hindu University, Varanasi, (U.P. 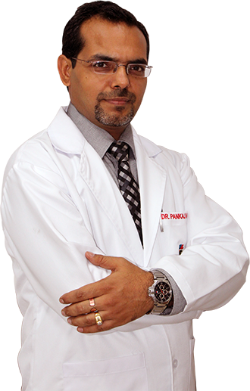 ), M.Ch (Neurosurgery) A.I.I.M.S, New Delhi, NETS, AUTLS A.I.I.M.S, New Delhi, Fellowship in Neuroendoscopy with Dr. Y.R. Yadav, N.S.C.B Medical College, Jabalpur (M.P.). Decompressive craniectomy in term pregnancy with combined cesarean section for traumatic brain injury. Pankaj Dawar, Aradhana Kalra, Deepak Agarwal, B.S.Sharma Neurology India 08/2013; 61(4):423- 425. Post-Traumatic Leptomeningeal Cyst in Child: A Case Report and Review of Literature Deepti Sukheeja, Pankaj Dawar, Deepak Gupta Mch, Arulselvi Subramanian International Journal of Case Reports in Medicine. 05/2013; 2013.